Photo: Commerce Minister Tofail Ahmed talking to the reporters at the secretariat on Sunday. 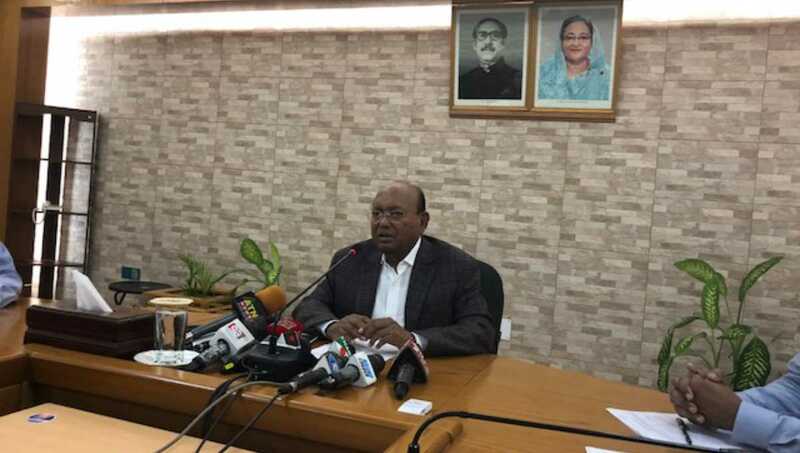 Dhaka, Sept 16 : Commerce Minister Tofail Ahmed on Sunday said the demands put forward by Dr Badruddoza Chowdhury and Dr Kamal Hossain-led ‘greater national unity’ are not acceptable. The minister came up with the remark while talking to reporters regarding the demands of the ‘greater national unity’, at the secretariat. Earlier on Saturday, Dr Badruddoza Chowdhury-led Jukta Front and Dr Kamal Hossain-led Jatiya Oikya Prokriya formally announced the journey of a ‘greater national unity’ to ensure ‘functional democracy’ in the country through holding a credible national election. They placed some demands which include dissolving parliament before the announcement of the schedule of the upcoming national election and forming a poll-time impartial government in consultation with all the political parties, reconstituting the Election Commission with acceptable persons to ensure a free, fair and neutral election, ensuring all political parties’ freedom of speech and association, withdrawing the ‘false’ cases filed against leaders and activists of all the political parties and students who waged the ‘quota reform’ and ‘safe road’ movements, releasing the political prisoners and not arresting any political leaders and activists until the election is over. The next election will be held as per the constitution and as per the schedule of the Election Commission under the ruling party as all countries in the world like Australia and USA. The minister said the demands of the ‘greater national unity’ cannot be met as those go counter to the country’s constitution. By making complaint to the world, no one can resist the next election of Bangladesh as it is independent and a sovereign country, he said. Previous: Arbaaz Khan to marry girlfriend Giorgia Andriani?